Even though NC is known for its mild weather, the temperature can still drop pretty low in the winter season. You don’t want to be caught with a broken heater on those chilly January days. We can make sure your home’s heating and ventilation system is running smoothly so you can stay warm and comfortable all winter long. If you need emergency hvac repair, a new heat pump, hvac repair, or hvac installation, we are here to help! AC Broken? Your air conditioner may be running perfectly all season long, and then without fail, the hottest day of the year arrives and your unit won’t turn on. If you find yourself in this sticky situation with nowhere to turn, pick up the phone and call the AC repair experts at AC Express Heating and Cooling LLC for reliable and affordable air conditioner repair. When the temperature starts to change, you don’t want to have to worry about whether or not your HVAC system is working properly. 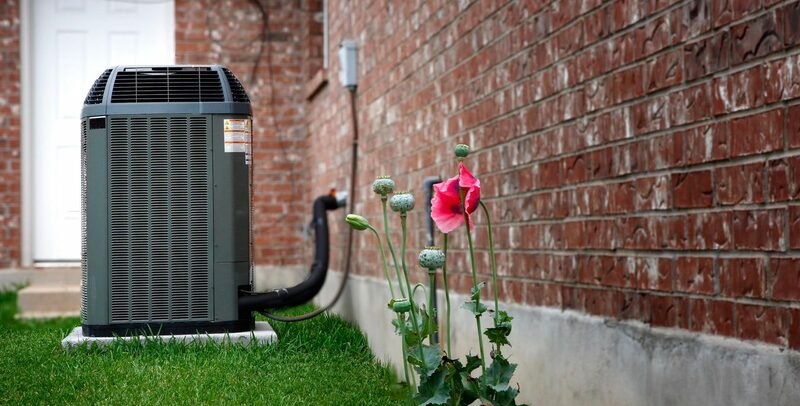 We are dedicated to ensuring that you and your loved ones are comfortable, so our team can help you by repairing or replacing a broken heat pump. One of the greatest advantages of a heat pump is its efficiency. Rather than having to generate heat, the pump is able to move heat back and forth, making for a much more cost effective heating system. When you hire technicians to come to your home, you want to be sure they have a reputation for success throughout the community. AC Express has helped countless homes throughout the Triad region over the years with their services and sales. Our highly trained staff is friendly, dependable, and will have your house back at a comfortable temperature before you know it. Your home’s HVAC systems are a lot more important than you think. They help keep you cool in the summer and warm in the winter, and they improve ventilation and the air quality in your home. Your heating and cooling systems also work to keep your building free of moisture, which prevents mold and other unhealthy toxins from growing in your space. 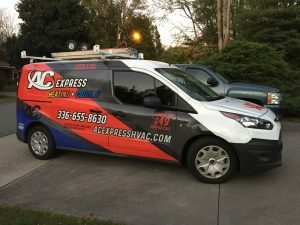 If your heating or cooling systems are experiencing trouble, turn to the HVAC experts at AC Express Heating and Cooling LLC.We specialize in residential air conditioning repair, heating repair and heat pump repair throughout Clemmons, NC; Winston-Salem, NC; and the surrounding areas. We can easily fix your furnace, heat pumps, or air conditioning unit in a fast and efficient manner. It’s no wonder we’ve been a favorite amongst homeowners since our opening in 2004! "I give these guys my highest recommendation. We have called them twice in recent years, and they will be my go-to. Kenny is thorough in sourcing the problem, explains everything, is patient, and the other time he came out, he went way above and beyond, staying in the heat for HOURS to work out the best solution to our problem. And he is a nice guy, too!" "Of course during one of the HOTTEST days BOTH of my AC units went out, I called AC Express in the morning and they were at my house the same day. I cant thank them enough for the quick response and quick repair of both my units. Thank you so much"
"These guys are the BEST! They keep this crazy old heat pump running like a champ! I think they have resurrected this unit three or four times already over the last ten years or so, when someone else told me it needed replaced ten years ago. I will not go to anyone else. Ken thanks again!"